The boss of the north’s main airport has called for priority access to Heathrow. Inglis Lyon, Highlands and Islands Airports Limited (HIAL) chief executive, and MP Drew Hendry are keen for Department for Transport (DfT) officials to visit the North of Scotland. They have called on members of the DfT task force to see for themselves the crucial role HIAL’s airports have in sustaining and growing the Highland communities and their economies. The DfT has begun plans to develop a new UK Aviation Strategy to help shape the future of the aviation industry to 2050 and beyond. HIAL worked with HITRANS Regional Transport Partnership and Highlands and Islands Enterprise to deliver a joint submission to the DfT’s review earlier this month. 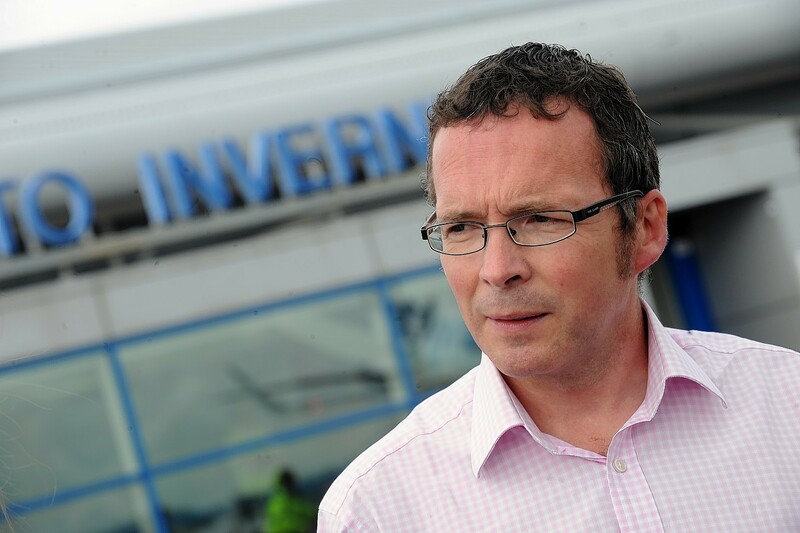 Mr Lyon said: “We believe there is a strong case for Inverness – as the key centre for the Highlands and Islands – to be prioritised for access to the UK’s main hub at Heathrow Airport when it expands. “We are issuing an open invitation to the UK Government advisors to visit us to obtain a much better understanding of the region, our businesses and our communities. Mr Hendry added: “Regional Airports are not only an important economic driver in our region, they also play a key role in tackling social exclusion, especially in the more remote parts of the Highlands and Islands. HIAL has reported another summer of increased passenger numbers at its 11 airports across Scotland, welcoming a total of 1,000,088 customers between April and September 2017.